Nitrogen (N) fertilizer management continues to be a priority for farmers and researchers, with a large research focus on the effect of N management in the year of implementation. However, researchers also want to understand the longer-term implications of N fertilizer strategies and decisions in a cropping system. 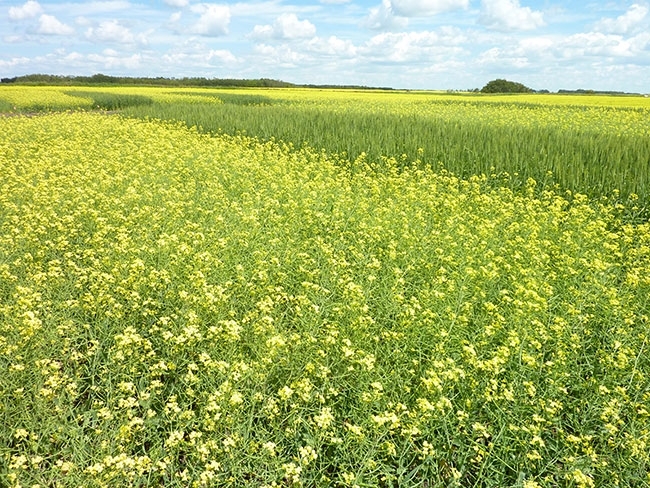 The focus of the original management study, conducted near Brandon from 2010 through 2013, was to determine the effect of N rate and timing on crop yield, and on N uptake and removal by the crop. 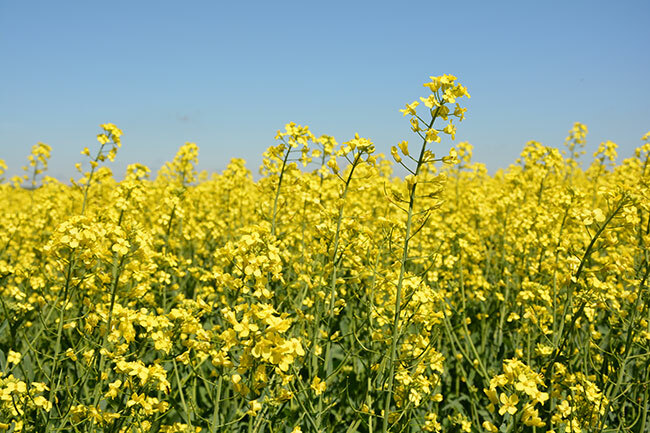 The project involved a two-year canola/spring wheat rotation and various N management practices were studied. The study treatments ranged from control plots receiving no N fertilizer to treatments receiving 150 per cent of soil test N recommendations in one of four years. The objectives of the follow-up study were to determine the effect of previous N management on plant-available N levels in two subsequent growing seasons (2014 and 2015). Researchers also wanted to measure the effects of a preceding crop failure versus a productive crop on N availability in the two following growing seasons. In 2014 and 2015, wheat receiving no N fertilizer was established across the entire experimental site of the previous canola-wheat rotation. In both years of the study various measurements were taken, including plant stand, grain and straw yield and N concentration, protein, test and seed weight. Soil samples were collected periodically over the course of the study including fall samples at a depth of zero to 15, 15 to 30 and 30 to 60 centimetres. Canola and wheat rotation trials comparing various N management practices. On average, the results in 2014 showed that those treatments that included a one-in-four year application of the higher 150 per cent N rate resulted in increased crop N uptake, fall soil nitrate content, and available N supply compared to those treatments that included a one-in-four year application of no N. By 2015, the effects of preceding treatments appeared to diminish somewhat. However, fall soil nitrate content and available N supply followed a similar trend as in 2014. These findings demonstrate that preceding crop productivity and N management have the potential to impact N availability in the cropping system in subsequent years under prairie conditions, and therefore should be considered when making N management decisions. For example, where higher rates of N had been applied in the past, there seemed to be evidence of greater N availability in the subsequent year. Various factors may influence residual N levels in a cropping system, from overlaps in equipment passes that contribute to higher than planned fertilizer N rates in select areas of a field, to growing season conditions that result in lower or higher crop N uptake and removal than expected. “Therefore, it is important to keep these residual effects in mind when managing N. Soil testing provides a useful tool for measuring how much plant-available N is in the soil, so that fertilizer management decisions can be adjusted accordingly,” Mohr says. “This soil nitrate, together with N mineralization during the growing season, will contribute to the N supply available to the crop. Knowing what soil test N levels are and looking at what crop N demands are expected to be are important to consider when making fertilizer decisions. The key is to consider these N residual effects, regularly soil test to know where your N levels are at and make fertilizer decisions accordingly.